In these programs, students will be introduced to acting techniques and theatre skills – improvisation, character building, script analysis, creative movement, and vocal work. These young artists will work together to create, collaborate and direct an original piece of theatre for the holiday season. 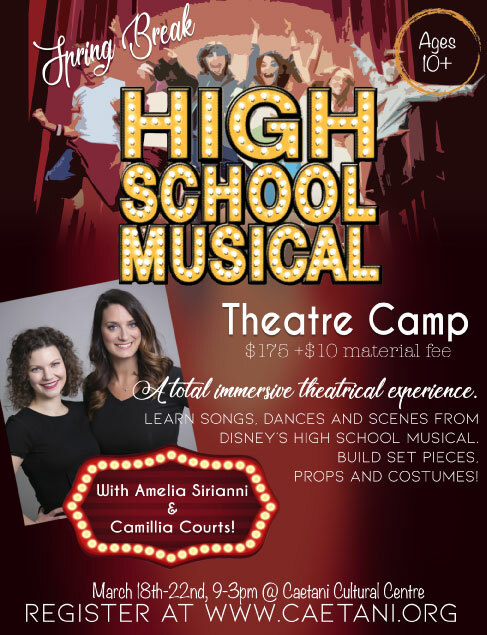 Learn dances, songs and scenes from Disney’s High School Musical! Build set pieces, props and costumes! A total immersive theatrical experience. No dance or voice experience necessary. 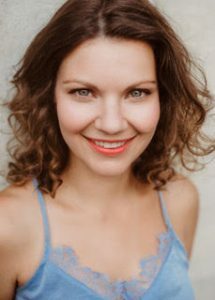 Originally from Vernon, BC, Amelia spent over a decade working as a professional actor in Toronto, ON. She received her formal professional training at the Randolph College of Performing Arts and has since had the privilege of performing on stages across North America as well as in film and television. Amelia recently moved back to Vernon with her husband and young son where she’s had the good fortune to be a part of the thriving arts community here through teaching youth drama at The Caetani Cultural Centre; working as Theatre BC’s MainStage Festival’s youth instructor; Musical Theatre adjudicator at the Kelowna Kiwanis Music Festival; and member of the Artistic Committee at the Powerhouse Theatre. She also runs an early childhood music and movement program, Itsy Bitsy Music Together. PLEASE NOTE: When registering please make sure to include emergency contact. How to register: **Please only register ONCE**. If you experience difficulties, call the Caetani office at 250-275-1525.